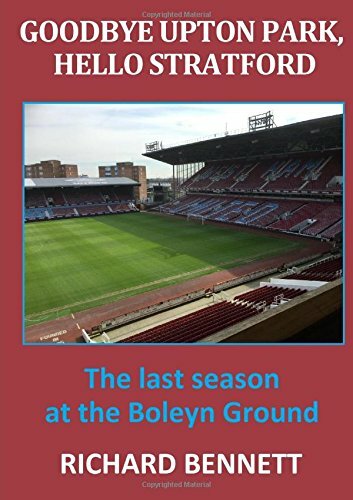 West Ham 2017-18 – What do you think of it so far? For those of you old enough (like me) to remember the 1970s, one of the famous Morecambe & Wise catchphrases was when Eric Morecambe asked the question in a sketch “what do you think of it so far?” Many of our fans on social media, if asked about the beginning of our season, would appear to have the same answer as that posed in the sketch, which is “rubbish”. Certainly we are not where we would like to be after two games. Propping up the table with no points, the most goals conceded, the biggest negative goal difference, and a visit to (tongue in cheek, hopefully) fellow relegation strugglers Newcastle up next, does not make for happy reading. Saturday’s game at Southampton was filled with action, controversy, goals, negatives, some positives, many mistakes, and violent challenges, and we even featured as the first game on Match of the Day, which is something of a rarity. Of course the edited highlights didn’t do real justice to the game, as highlights so frequently do not. Despite playing for a large part of the game with ten men, and at one stage just before half time being two goals down, we fought back well with two well-taken goals from Hernandez, and his performance gives me hope for our goal scoring in the season ahead. The Reid injury in the warm up is just so typical West Ham, as was conceding a penalty in the 93rd minute to lose the game. Even Mark Noble had a hand in the winning spot-kick by revealing to Charlie Austin that Joe Hart knew where he was going to place the kick, and this made him change his mind. And speaking of typical West Ham, Southampton were thankful for us being the hospitable visitors which allowed them to break their long goal-less sequence at home, and allowed Gabbiadini to score for the first time in eleven games. Referee Mason was praised in many quarters, not least on Match of the Day for getting almost all his decisions right. Mmmmm. Yes, Arnautavic had to go, but he completely missed Lemina’s leading arm (which should have been a red card beforehand) which led to our Austrian signing’s retaliatory challenge. He also missed a waist high challenge from Tadic early in the game which could have been a red card, he didn’t punish Noble sufficiently for a horror tackle, and he missed a blatant handball which should have given us an obvious penalty. I may be wrong, but I also thought that fouls which deny a goal-scoring opportunity (where no attempt is made to play the ball) should also result in a sending off. If this is the case, then perhaps Fonte and Zabaleta should have gone too when conceding the two penalties. Since the beginning of the Bilic reign we have now conceded more goals from the penalty spot (13) than any other Premier League team. Arnautavic will miss some games now; the same should be true for Mason in my view. Is it me, or was it a bizarre selection with Noble in the team and Obiang on the bench? Did Fonte really look like a Euro 2016 central defender? What was the point in attempting a stranglehold when the ball was running away from the attacker anyway? Should a defender of this supposed stature be so easily outpaced, and too busy ball-watching, for the first goal. Has anybody told Zabaleta that pushes in the penalty area, which are not penalties when playing for Manchester City, are more likely to be awarded against West Ham? Did the attacker fall down easily and con the referee? Have you ever seen Steve McFadden (Phil Mitchell) and Lee Mason together in the same place? What does Andre Ayew contribute to our cause? Did we really pay £20 million plus for him? But there were positives, too. Arnautavic looked lively (in the first few minutes! ), Hernandez goals, another assured performance from young Rice, the return of Antonio who looked good, Sakho’s return, and the fight back which resulted in the creation of more shots, and more shots on target than the home side, despite the lack of possession. And we only sit six points off the top, or four away from a Champions League position! Hopefully Lanzini will be back for the next game, too. But there is a long way to go in the season. We can still push for a top half finish, especially when we get to play some games at home! Currently, Huddersfield, West Brom and Watford are sitting in the top six in the table. None of them will be anywhere close by the end. But they have all stolen a march on us in the opening games. We’ll have to come from behind, just as we did on Saturday. I like the article, and I agree on the most part. Yes not a great start, certainly by performances, but in reality we are only probably -1 point than the manager would have budgeted on! In our heart of hearts we wouldn’t have expected anything other than a loss at Old Trafford, like as not they will challenge for the title this year, and Southampton are a solid mid table side, you’d like to sneak a win away but it’s not expected hence the -1 point from their probable calculated target. Long long way to go, but Bilic has to fix centre back and centre mid quickly if he wants to keep his job! too easy to play through and conceding way too many. Again, you would have planned on Manure getting 2 and Southampton probably 1, so 7 from those two is way too many! Previous Previous post: Five Takeaways from West Ham’s South Coast Heartbreak!